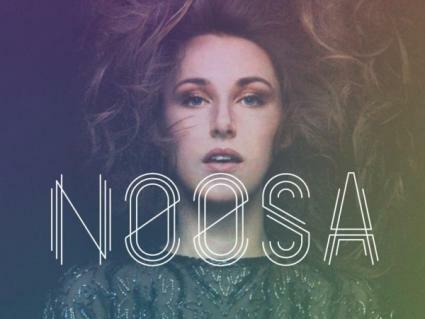 Noosa is for those late nights where for a variety of reasons, be they heartsickness, dance exhaustion, drugs or all three, you have come to occupy a dream space where you're no longer entirely sure if the music you're hearing is coming from your head or from the DJ. Singer/retro-knob twirlers Sky Barbarick and Matt Buszko occupy this space perfectly. Their hypnotic first single 'Fear of Love,' while coming pretty much out of nowhere, has stuck like glue to the meatpacking district since it first arrived back in March. Now the mysterious pair have just released a strong self-titled EP, and songs like the volleyball game-ready 'Sail' (streaming) and the folksy 'Mirrors in the Moonlight' give us a surprising breadth of material that work well against 'Fear of Love's' colder electronics. A confident start from a ambitious group just beginning their journey. - Mike Levine (@Goldnuggets) - This band submitted their music to The Deli for review here.